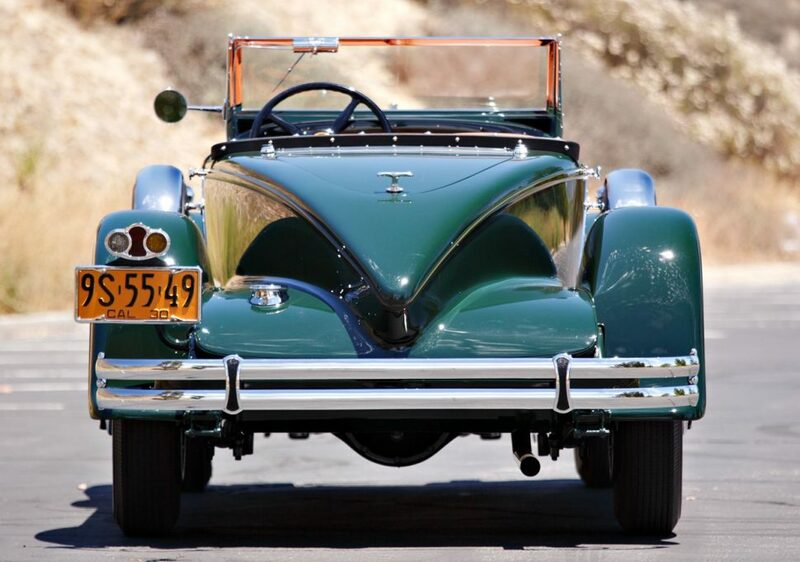 1930 Packard 734 Speedster Runabout. Photos by Brian Henniker, copyright and courtesy of Gooding & Company. Packard’s vice president of engineering, Colonel Jesse Vincent, loved fast cars so much that, in 1929, he introduced a special line of “factory hot rod” sports cars, the 734 Speedsters. Of the five body styles offered for the 1930 model year, the most sporting was the two-passenger boattail Speedster Runabout, which remains among the most desirable examples today. This was demonstrated at Gooding & Company’s 2019 Amelia Island sale, where a 1930 Packard 734 Speedster Runabout sold for fee-inclusive $1.765 million to claim its spot atop the auction’s results. The 1930 Packard Speedsters were built atop a modified Model 733 chassis, powered by a factory-tuned version of the 384.8-cu.in. inline eight-cylinder used in the Deluxe Eight models. 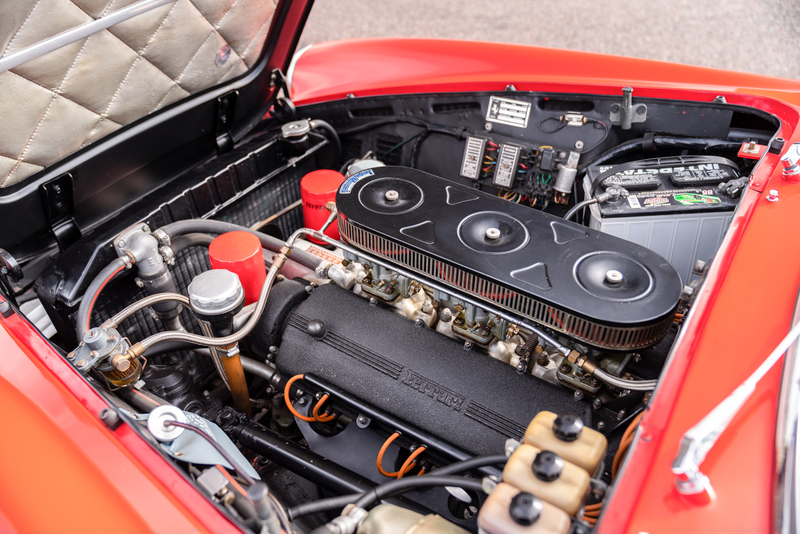 In this milder guise, the engine produced 105 horsepower, but when built for the 734 Speedster with a high-lift camshaft, high-compression cylinder head, revised intake and exhaust manifolds, larger valves, and a less restrictive exhaust, produced 145 horsepower, good enough for a claimed top speed above 100 mph. 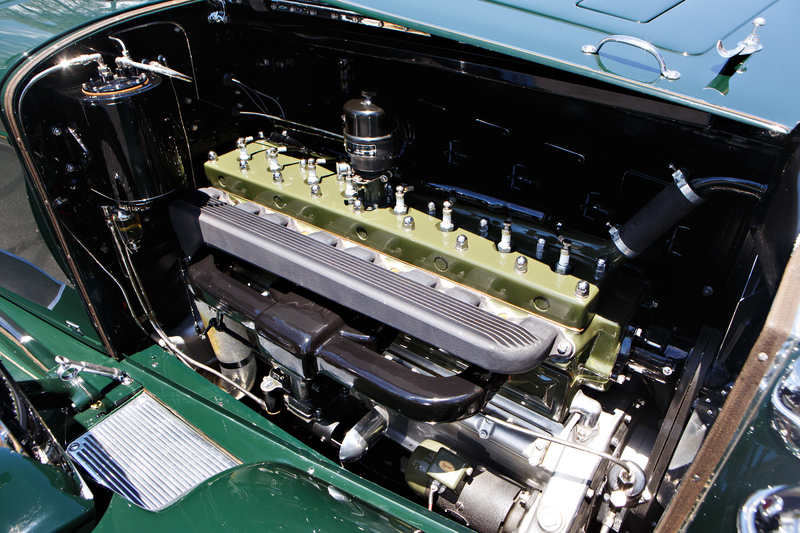 As John F. Katz pointed out in Special Interest Autos #126, November/December 1991, the big-engine-in-a-midsize-frame recipe makes the Packard 734 Speedster a legitimate candidate for the first American muscle car. The performance upgrades didn’t end there. 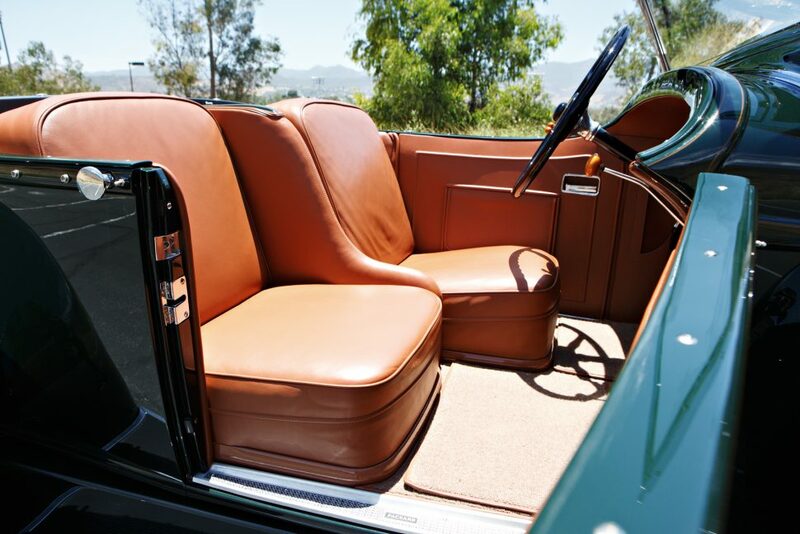 The bodies fitted to Series 734 Speedster models — all built by Packard Custom Bodyworks — were shorter and narrower than conventional models to save weight. Buyers could choose between two axle ratios (3.31:1 and 4.07:1) in the Deluxe Eight/Custom Eight rear differential, and 16-inch finned brake drums were fitted in all four corners. Even the driver and passenger seats were staggered to improve the driver’s visibility, as was the norm in racing cars of the day. As a hand-built sports car from a premium manufacturer, the Packard Model 734 Speedster was expensive, even by Packard’s standards. The boattail Runabout carried a list price of $5,210, at a time when a Packard 733 Roadster cost $2,425 and a Ford Model A Roadster just $435. Well-heeled buyers turned to Packard for luxury cars, not sports cars, and even without the impact of the Great Depression, it’s likely the Speedster line would have been short-lived. Production records for the 734 Speedster models don’t exist, but most agree that less than 120 examples were built before production ended in August 1930. 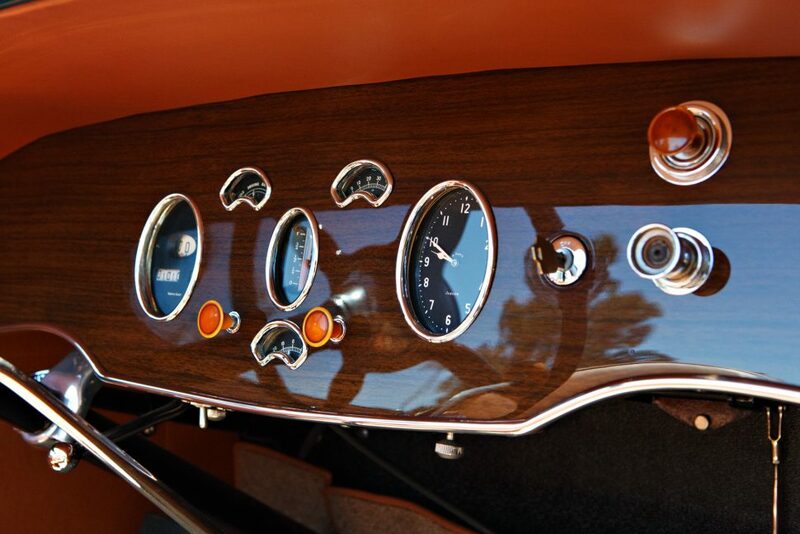 Of these, just 39 were boattail Runabouts, and a mere 18 examples are known to survive today. Chassis 184084, the 1930 Packard 734 Speedster Runabout sold by Gooding & Company at Amelia Island, has a known and documented history since new, when it was delivered to A. McClure Halley of Brooklyn, New York. In the decades since, it’s passed through a dozen owners, the most notable of whom include photographer Leo Pavelle, automotive author Ralph Stein, and publisher Otis Chandler. Restored in 2005 under the consignor’s ownership, the Packard has since earned awards at the Pebble Beach Concours d’Elegance, the Amelia Island Concours d’Elegance, and the Kirkland Concours d’Elegance. 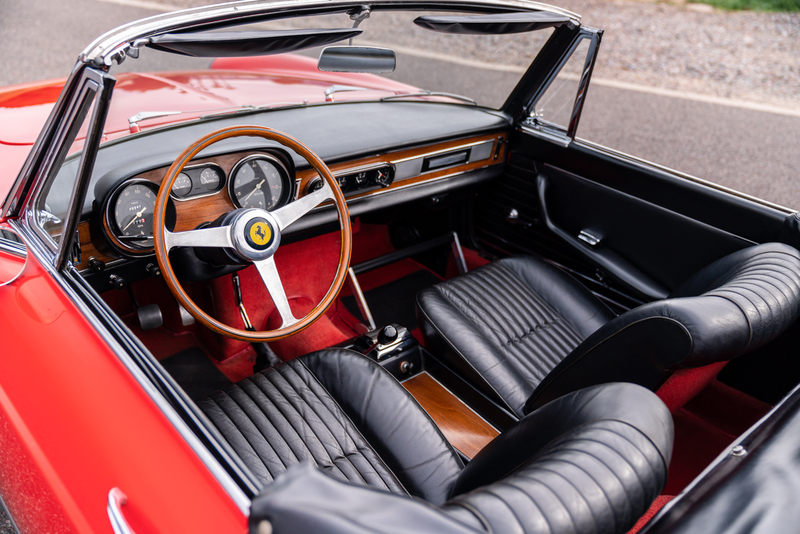 1965 Ferrari 275 GTS. Photos by Mike Maez, copyright and courtesy of Gooding & Company. Other lots in the top 10 included a 2015 Porsche 918 Spyder Weissach, which sold for $1.49 million; a 1965 Ferrari 275 GTS, which sold for $1.323 million; a 1963 Ferrari 250 GT Lusso, which sold for $1.23 million; a 1993 Porsche 964 Carrera RS 3.8, which sold for $1.13 million; a 1987 Porsche 962C, which sold for $1.02 million; a 1964 Shelby Cobra, which sold for $714,500; a 2004 Porsche Carrera GT, which sold for $687,000; a 1984 Porsche 911 SC/RS, which sold for $687,000; and a 2011 Porsche 997 GT3 RS 4.0, which sold for $582,500. 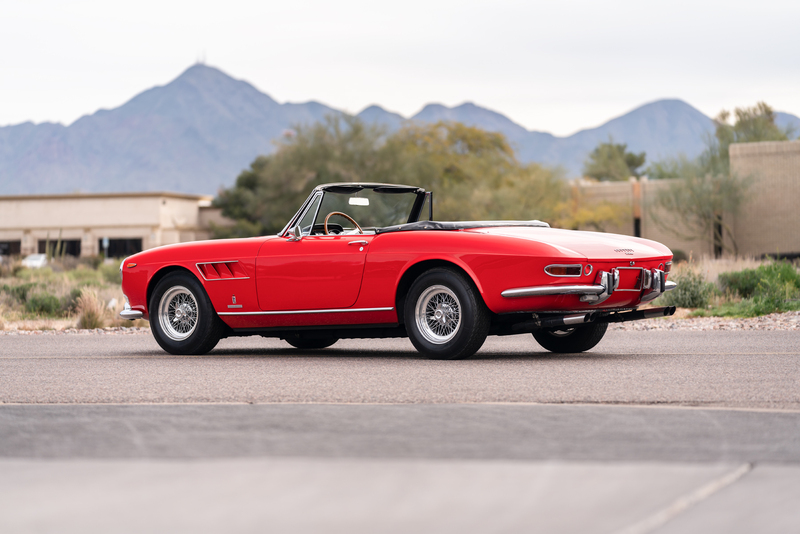 For complete results from the Amelia Island sale, visit GoodingCo.com.